Situated in the central part of the island, surrounded by rolling green foothills is Kandy, the ancient royal capital of Sri Lanka. Kandy is considered one of Sri Lanka's major tourist areas with plenty of attractions, great scenery and cooler temperatures than Colombo. 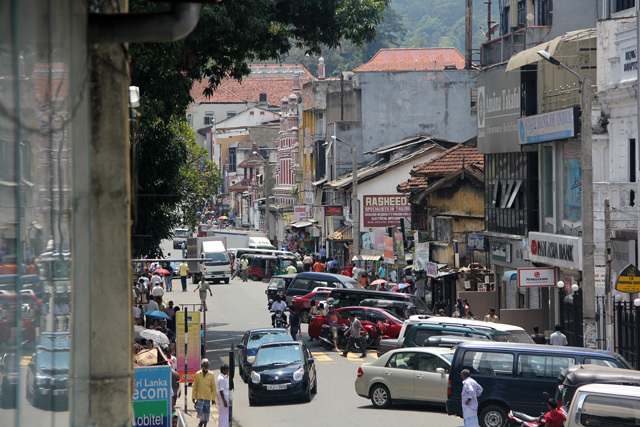 The center of Kandy is pleasant, a neatly laid out town of colonial buildings, shops and delicious restaurants. The bus station is just a short 10 minute walk from downtown and you can get most places by foot, local bus or rickshaw. One of Kandy's biggest draws for both local Sri Lankan's and foreigners is the Temple of the Tooth, now a UNESCO World Heritage Site. The story of the tooth relic is extremely complex and after reading the story a few times, I still don't begin to fully understand. The temple is believed to house a tooth of the Buddha – but it's not that easy. Over the years the tooth has passed through many hands, been fought over and been crushed. Some believe the tooth is authentic, while others believe the tooth may not really be from Buddha at all. 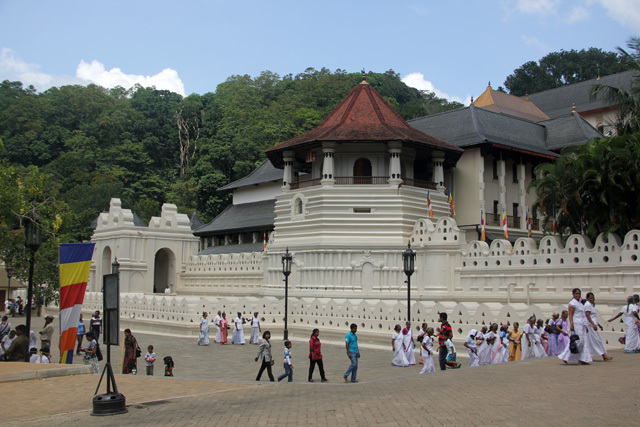 Despite the story of the drama behind the tooth, this temple in Kandy is one of the most visited attractions in town. I had a great time visiting the local Kandy market. 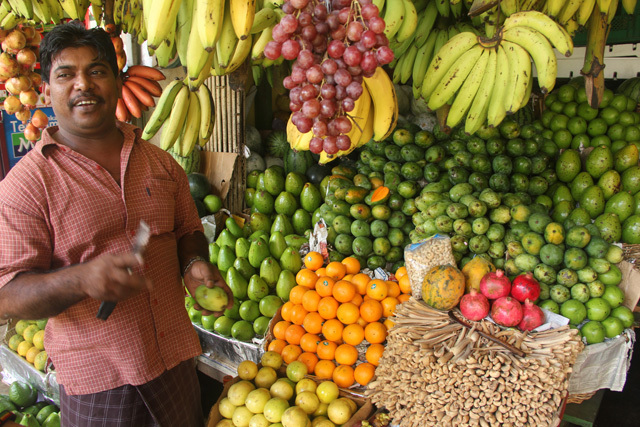 There was an abundance of delicious fresh fruit, vegetables, fish and piles of fragrant spices. The action and the sensory excitement of the market was fantastic. I purchased a few bags of spices and a bunch of tasty wood apples (a very popular and stinky fruit in Sri Lanka)! 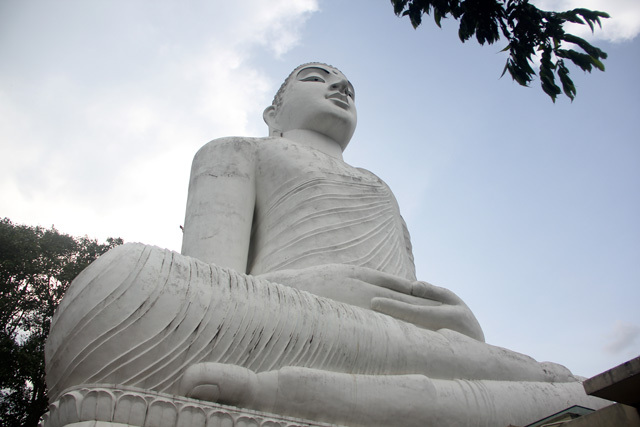 In the afternoon when the sun dies down, it's a great little physical work out to climb to the top of the Bahiravokanda Vihara Buddha statue situated on top of the hill to have a look around and enjoy the gorgeous panoramic view of Kandy. One of the coolest things about the statue is that you can actually climb the staircase going up the Buddha's back for an even better view of the city! Kandy has plenty of dining options and no trip would be the same without a few meals of scrumptious Sri Lankan food. Anywhere I travel, if I happen to notice a big crowd of locals waiting for food, I get in line – no matter how full or hungry I may be. 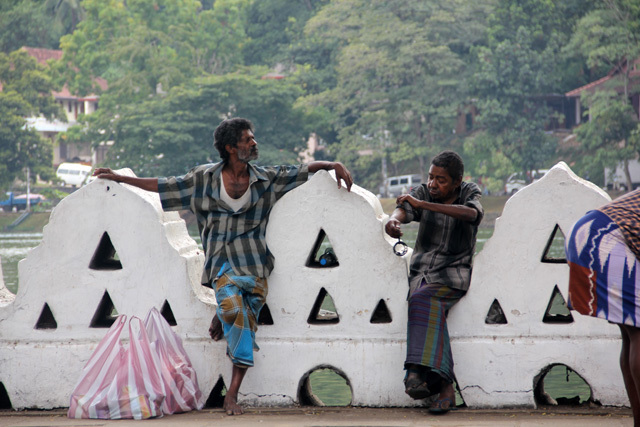 Walking around one day in Kandy, I noticed an excited crowd standing while eating ice cream cones and snacks. I didn't know at the time, but it was Kandy's vegetarian soy center. 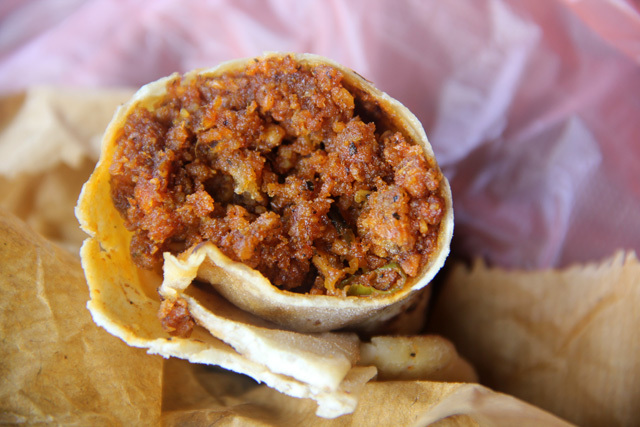 I ordered something that looked exactly like a burrito, really a Sri Lankan roti protein. It was insanely delicious – I could honestly not believe that it wasn't Mexican pork chorizo and eggs – but it was vegetarian! Kandy Lake is one of the more iconic landmarks of the city. 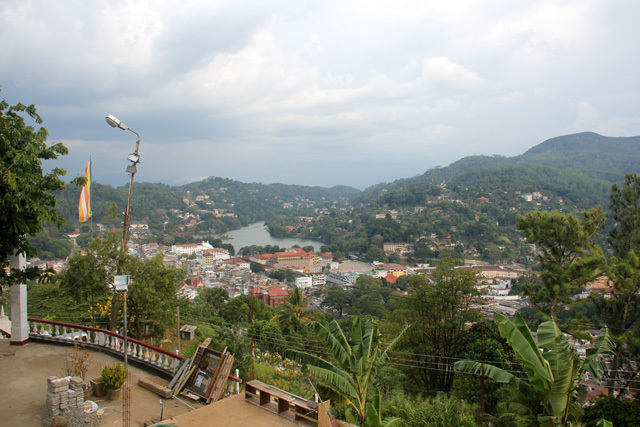 The front face of the lake borders the central part of town and if you choose to walk around the lake, you'll pass the Temple of the Tooth and eventually come to the Kandy tourism art center that host's daily cultural dance performances. In the evenings, a number of vendors or mobile souvenir sellers set up around the lake and you may also see an occasional cobra snake charmer. Though I ran out of time without getting to visit the Royal Botanical Gardens, many Sri Lankan's told me that I missed out. So if you visit Kandy, I'm sure the botanical gardens are a wonderful attraction as well. Traveling in Sri Lanka is an incredible experience, and Kandy is a lovely town to visit as well as a great central jumping off point to travel to other destinations around the island. Nice post Mark. I’m very anxious to visit Sri Lanka – one country I’ve yet to ever set foot in the region. A legendary landscape – would love to walk right into your great pics! I always enjoy your postings! Kandy was a memorable experience for me for two reasons. The first it was beautiful, I loved the lake in the center of town. The second being the traffic, and the people trying scam you. On a whole I enjoyed my time there. Sri Lankan roti protein. – how to make it ?